To use Abraham Lincoln’s formulation, he was born some ten score and six years ago in a log cabin in the backwoods of Kentucky—which comes out to be some 206 years ago. In historical terms, that stretch of years isn’t much; but for the ordinary person studying the man and his times, it is another world. When he was a youngster, he had scribbled some doggerel about someday being famous, not knowing “where or when” and wondering whether his life would amount to much or have any meaning after he had left this Earth. Little did he know—or could ever realize—what an impact his 56 years would have upon his times and beyond. But on this Presidents’ Day and the anniversary of his birthday (February 12, 1809) just past, there will be no fear in saying that he will ever cease to be a figure of fascination for the historian and the biographer. Perhaps the most important thing about Abraham Lincoln—and what makes him so enduring in the popular memory—was the plain fact that he was so human. He was “Mr. 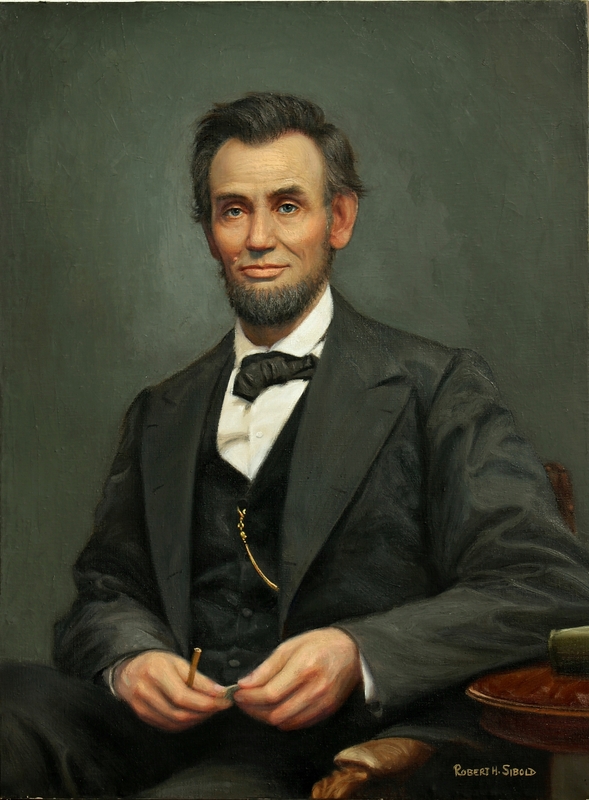 Lincoln.” Despite his accomplishments and his securing the greatest gift his fellow citizens could bestow upon one—as President of the United States—he found himself a Chief Executive of a nation tearing itself apart over contentious issues that had never been properly dealt with since the founding of the nation. Knowing full well the problems he faced—and they would be many—he sought the office and struggled through years of hatred and war and worked to somehow make a country civil again and direct it toward a better path. But it would not be done without great suffering, not only for the nation, but for himself. So when he ascended those theatre steps on that April night in 1865 to sit down in his seat, amidst the draped American flags flanked by the portrait of George Washington, he did so in the hopes of enjoying a humorous play on the very evening when a disastrous Civil War was coming to its conclusion. The years of struggle he went through to bring peace for his country culminated in this moment when he hoped to finally achieve some peace for himself, only he did not know how that peace—for his country or himself—would finally come about. His work had assured his place in history; and when those shots rang out that night, Abraham Lincoln’s humanity was assured as well. Joe McAuley is an assistant editor at America.